BOX OFFICE COLLECTION: Salman Khan’s Bajrangi Bhaijaan smashes records on day 7 in China! Salman Khan’s Bajrangi Bhaijaan is on a winning streak it seems. The Bollywood movie that won hearts across the country has now reached China and its performance is undoubtedly an amazing one. Bajrangi Bhaijaan stars Salman Khan, Kareena Kapoor, Nawzuddin Siddiqui and Harshali Malhotra as lead actors and has all the right elements you need for a film to become a blockbuster hit. Taking a look at its collections in China told us that Bajrangi Bhaijaan is all set to go a long way. Here’s where it stands now. According to Taran Adarsh, Bajrangi Bhaijaan is having a success story in China. It has earned 1.75 million, 1.83 million, 1.92 million and 4.01 million in the past couple days. The collections have successfully pushed up to a whopping 18.05 million which is 117.49 crores. Can you believe that? The movie has crossed the 100 crore mark in just a week. This movie receives more recognition for sure and should be watched across the globe too. 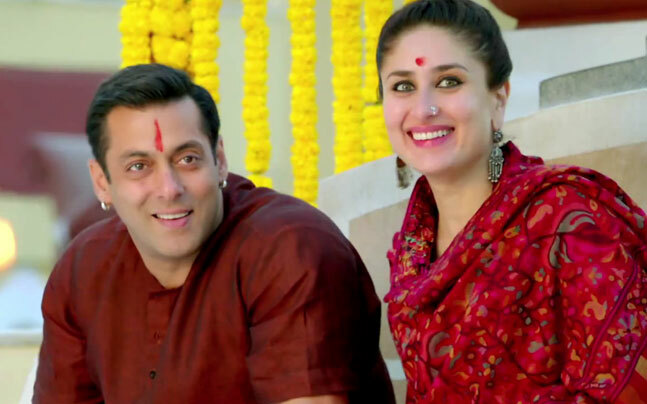 Bajrangi Bhaijaan narrates a very beautiful, heartwarming story. It’s about a young man who is a devotee of Hanuman and his relationship with a little girl from Pakistan who turns out to be his friend and also like his daughter. The way Salman carries himself in the movie is beautiful. His performance is on spot and the direction too is worth applauding for. If you haven’t watched this film yet, its high time you do so!